I have not been a fan of this Stanford team.. They lack play makers and they lost a ton of talent on defense from last year, but the defense is still playing as the best defense in the nation. Oregon is over rated and the only reason this is not a higher rated play is their offensive line is starting to get healthy, but they will play the best defense they have had to face all year. Stanford just has their number they know how to play Oregon and I just don’t think Oregon is ready to blow this team out. The spread is blown up a bit because after Oregon’s loss to Arizona they have gone back to being Oregon, but their offensive line got lucky getting to face the 116th and 126th ranked sack % defenses in 2 of their last 3 games. Stanford is ranked 13th, and 2nd in yards/attempts, and they are also ranked 5th vs. the run and have played several quality opponents on their schedule. 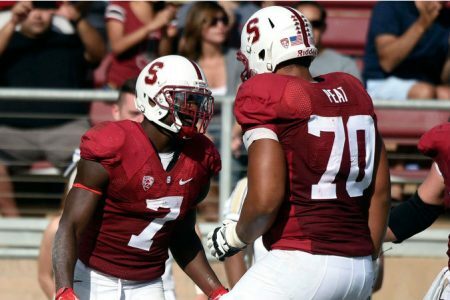 There is still a lot for Stanford to achieve this year and I think it starts with their perennial win over Oregon.